Matt Fitzgerald is a certified sports nutritionist and the author of numerous books on running, triathlon, nutrition, and weight loss. His most recent VeloPress books are Racing Weight Cookbook, Racing Weight Quick Start Guide, RUN: The Mind-Body Method of Running by Feel, Racing Weight, and The Runner’s Diary. 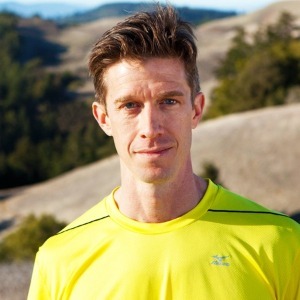 Matt is a regular contributor to Competitor, Men’s Fitness, Men’s Health, Outside, Runner’s World, Bicycling, Running Times, Women’s Running, and other sports and fitness publications. Fitzgerald is a featured coach on Training Peaks, Pear Sports, and Active.com. He is a certified sports nutritionist (CISSN) licensed by the International Society of Sports Nutrition. He lives and trains near San Francisco, California.